Channels are something that is unique to traditional cable and is the main reason why your monthly cable bill is so pricey. When we speak with our customers we advise them to stop thinking in terms of channels. In case you forget, the movie Groundhog Day is about Phil Connors, an arrogant Pittsburgh TV weatherman who, during an assignment covering the annual Groundhog Day event in Punxsutawney, Pennsylvania, finds himself in a time loop, repeating the same day again and again. Your cable bill is made up of bundled channels and and we advise every customer to begin with an audit of your TV habits and to note what shows you like to watch, rather than channels. What you’ll begin to see in most cases is that your favourite channel is also caught in a time loop, repeating the same episodes again and again. Here at Kutko we are big fans of the channel AMC and their original content. But there is one small issue with AMC, they have very little in terms of original programming. 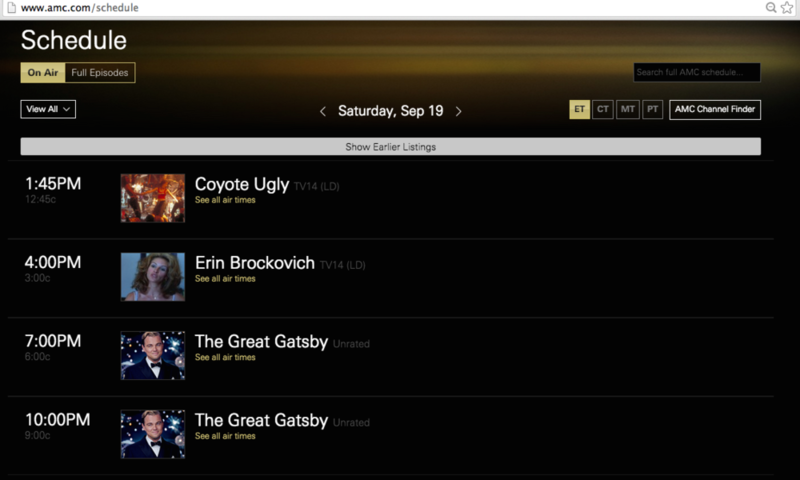 That results in only a few hours of content you want to watch in a week/month and the rest of the time the AMC channel broadcasts older movies that most people can find on Netflix in this day and age. 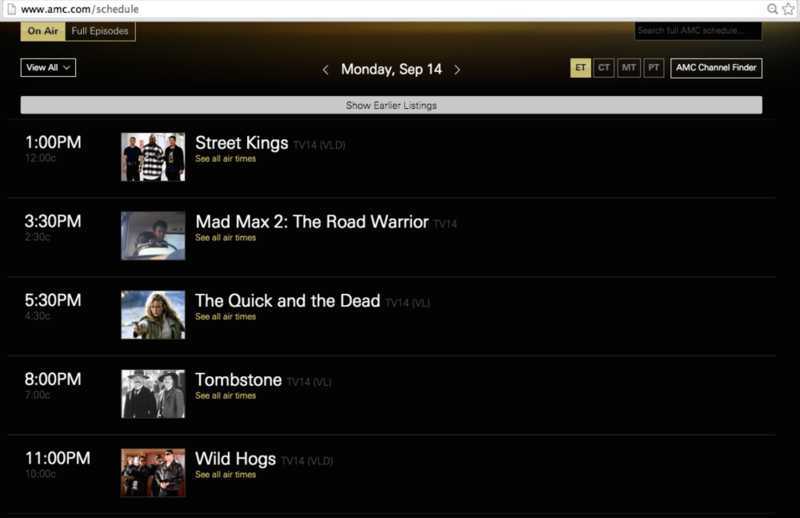 See an example of AMC's broadcast schedule for a week. This is one of the biggest problems with cable and the idea of 'channels' and one of the great things when you #CutTheCord. Look at any channel you you like to watch and ask yourself, how much actual original programming is on that channel per day, per week, per month? Are you watching that channel 12 months of the year, because you are paying for it 12 months of the year in the cable 'channel' world. How often do they re-broadcast the same content over and over again? Is that worth paying what you are currently paying per month? 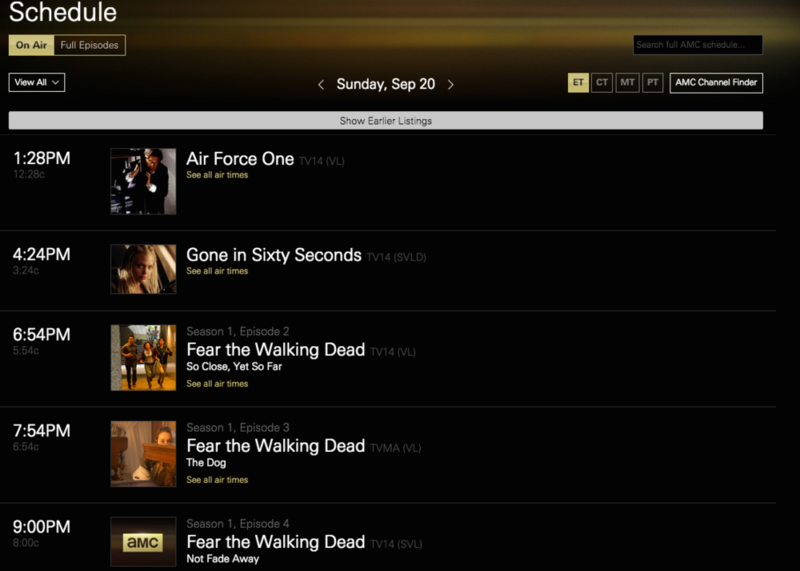 So how else can you watch AMC’s Fear of the Walking Dead show? Amazon.com sells the season of this show for $15.99 (US) which is available to watch the next day after it airs. You own the season and can watch it on any device anytime you want. If you don't want to own the show, then you can also subscribe to any host of streaming services like SlingTV or DirectTVNow which have the AMC channel as part of their lineup for as low as $20 a month. Our advice pay for what you want to watch only when you want to watch it. Or you can be like Phil Conners in Groundhog Day and live in the time loop that is the cable TV 'channel' and watch the same thing over and over again. If you are ready to #CutTheCord then we can help.